A day in the life of a line manager comes with its own unique set of challenges. Effective line management requires a blend of leadership skills, team-building know-how, and excellent communication. Industry studies show that many managers are still not confident about overcoming their communication skill gaps. They can also struggle with their role in reducing employee change fatigue and shaping a corporate culture. Here are 12 tips for line managers to help improve confidence and performance. Line managers are in the perfect position to create a culture that bridges the gap between upper levels and employees. By building trust and gathering information about staff engagement and interests, they can suggest ways to improve performance and strengthen the workplace environment. Manager-team relationships have a lot of room for improvement. 70% of employees say they would like to spend more time interacting with their managers, and 32% say they can spend up to three months waiting for a manager to answer their queries. If your comms still follow the traditional, rigid approach of C-suite to employees with strict guidelines and no discussion, you might find they aren’t as effective as they once were. Engagement can be very low with this method. And as staff performance is linked to this, it can affect the financial performance of your company. Employees at all levels should be enabled to share information and learn from each other. This increases understanding of company goals and processes and how each individual fits in. Investing in a more ROI-focused style of communication has been shown to help teams and individuals reach their goals and encourage greater employee motivation. It’s not enough these days to deliver a message just the once, then hope for the best. Managers need to show passion and enthusiasm in their communications and provide data and relevant examples so that their messages are remembered. Comms delivered with a concrete purpose, backed up with hard data and case studies are 61% more effective for connecting with employees on an emotional level than using vague stories to try and illustrate points*. Enable line managers to be clear and consistent in their communications. 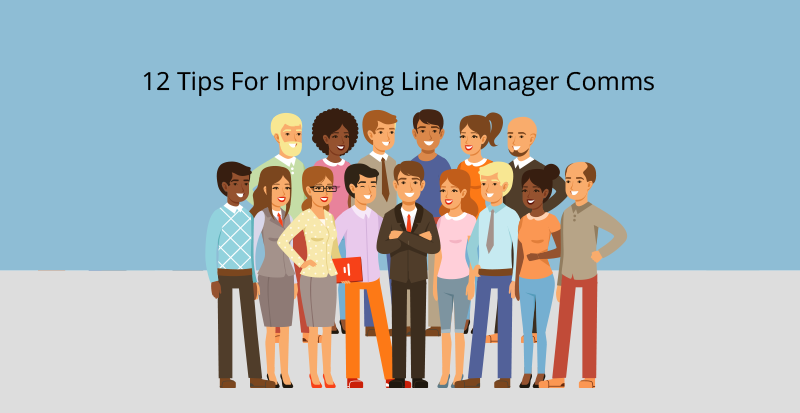 Make it a priority to have a two-way open line of communication from line managers to their team, and conversely, from line managers to upper management. 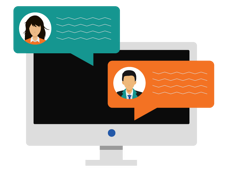 Equip them with tools that can capture staff input, such as staff surveys and internal quizzes. Supporting line managers and their need to communicate directly with multiple levels of staff is important to ensure a healthy flow of information around your company. KPIs and reports are a necessary part of being a line manager, but communication shouldn’t end there. Start with the ‘why’ (the objective behind each project) and the ambitions of your team in relation to meeting set targets. Try some goal-setting approaches within your line management. Set team and individual goals, and have staff set their own goals for their work, their personal development, and their personal lives. A good work/life balance is crucial to ensure the happiness and health of employees. It improves the overall engagement and retention of staff. Rather than a 10am meeting every Monday with a whiteboard presentation that your team will come to dread like clockwork, shake your meeting routines up a little. Variety in your meetings will prevent the inevitable staff boredom, reluctance to attend and feeling of 'Groundhog day'. Studies have suggested the best time of the day for meetings is most likely to be Tuesday at 3pm. Stay away from the Monday morning meeting where everyone feels under-prepared, and the Friday meeting where staff are exhausted and want to get away. Contrary to what you might think, people are most likely to come up with creative ideas and solutions later in the day when they are more distracted and tired. Try a blend of formal meetings with set agendas, and more informal meetings with a flexible plan. Ask your team to bring some food to share and order in coffees if you know the meeting is going to be a long one. Take your meetings off-site now and then. Try a quiet cafe or follow the lead of Mark Zuckerberg and schedule a ‘walking meeting’ with your team at a park or beach. This can provide huge boosts in energy, morale, and productivity. Find a Ted talk that relates to the meeting agenda for everyone to watch. Video is more engaging than slides and charts, and Ted provides inspiring topics from thought leaders that are bound to generate discussions. 79% percent of employees say they prefer the kind of manager that can give them the tools and resources they need to reach their goals*. Encourage ongoing learning and development of management communication skills. This will help your line managers impart their knowledge to their team and recognize gaps in their skill sets that need to be addressed. The modern workplace represents a wide variety of demographics. Line managers need to acknowledge that each employee brings to the table a lifetime of different experiences and skills. Managers must be able to communicate with all of them as individuals in order to increase engagement and workplace satisfaction. Approach your communications with flexibility. Adapt to the needs of multiple generations of staff who learn and communicate in different ways, but all need their voices to be heard. Despite what you might think, 55% of the millennial generation still prefer face-to-face communication over digital alone! There are many tools available to streamline all of your company comms. Ensure your management messages are received, understood and implemented by using channels that are fit-for-purose. For example, for an ultra-important, 'read now' style message, the traditional email won't cut it. These days, too many emails end up getting lost in the inbox. Instead, choose formats that are fit-for-purpose, that span the communication spectrum with delivery methods that range from passive and to intrusive. 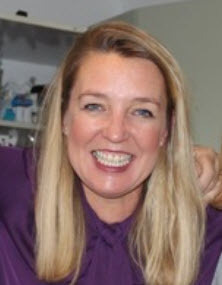 Create a workplace culture that embraces open, factual and timely communications. Your company wants to avoid rumors spreading like wildfire, and dispel uncertainty within employee ranks. Emphasize the importance of face-to-face communication. This allows line managers to relay news directly to their team and address any fears or questions their team might have. But always follow up with a written version of what was discussed in person, to avoid any misunderstanding. Ensure communications flow both ways so that upper management levels are aware of any employee concerns. Depending on the subject, consider getting feedback anonymously. Create an opportunity to build relationships between all of your line managers. This allows the sharing of advice, guidance and ideas at their level, and helps common problems get solved in a consistent fashion. Relationships with other departments that support the line managers’ functions can also be beneficial, providing a strong network for assistance if and when it is needed. Delivering difficult news is challenging for your line managers. Train and support them so they are ready to talk to their teams about changes in policy, structure or organization. This will ensure they are prepared to deal with any strong reactions from employees. Managers should recognize and plan for the possible impact any major changes will have on their team and identify any individuals that might be affected. This will help increase employee engagement and build trust between line managers and their teams. In summary, line managers have a crucial role to play in your company. They are often uncertain of their own abilities to communicate effectively across the workplace, and should be continuously developing their skills and increasing interactions with their teams. By investing in the ongoing training and comms tools your managers need to excel in their roles, you will enable them to increase the engagement of their team, which will in turn have a direct impact on the financial well-being of your company.